Combine the cumin, Sichuan peppercorns, and red pepper flakes in a spice mill or mortar and pestle, and process or pound to a coarse powder (alternatively, place all the spices in a ziplock bag and crush with a rolling pin or heavy skillet). Add the salt to the spice mixture and set aside. Heat the oil in a large skillet over medium-high heat. Sear the lamb chops (which should all fit in the skillet) until both sides are deep golden brown but the inside is still a nice pinkish rare, 3 to 4 minutes per side, depending on the size. 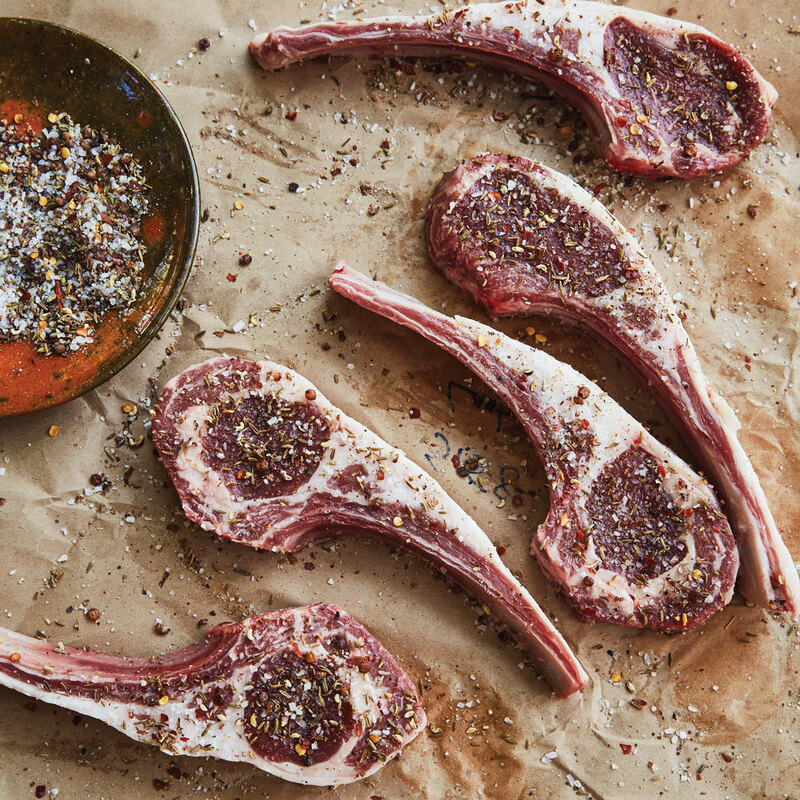 Transfer the chops to a large serving platter and let rest for 5 minutes. Meanwhile, add the scallions to the skillet and cook, stirring occasionally, until lightly charred and all coated in the Sichuan-y, lamby fat. Add the vinegar and peanuts (if using), season with salt and black pepper, and serve alongside the lamb chops. Review Body: When do you add the spice mixture?